This project happened during the time his primary office was in Florida, and the preponderance of his clients in that state. It was there, centered in the Sarasota area (though extending outward to the rest of the state and beyond) that Rudolph started his career. Initially he was doing small houses, guest houses, beach houses… but his practice eventually grew to embrace all kinds of building types, from primary residences to schools, offices, and larger developments. 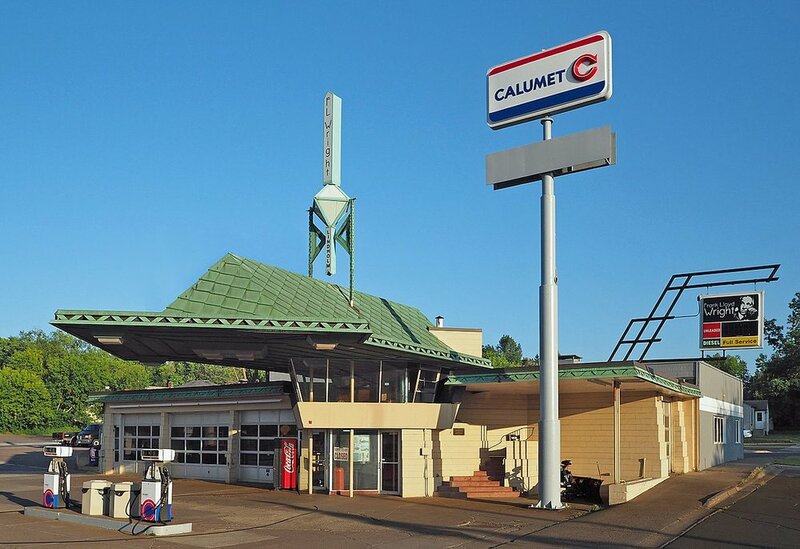 "Rudolph, along with Frank Lloyd Wright and Mies van der Rohe, believed that even the most banal aspects of the American popular landscape such as fast-food restaurants and gas stations were worthy of an architect’s services. The Donut Stand, designed for a group of investors in Tampa, was commissioned as a prototype building to act as the marketing symbol for this roadside business. Rudolph hung a thin planar structure from four vertical steel supports, creating a veritable floating roof with a minimal, glass-enclosed interior space below. This project was designed in the Cambridge office at the same time as the Grand Rapids Homestyle Residence, with a similarly conceptualized open plan and restrained use of materials. A hastily rendered design drawing was presented to some of the investors, but was soon shelved after a payment dispute. 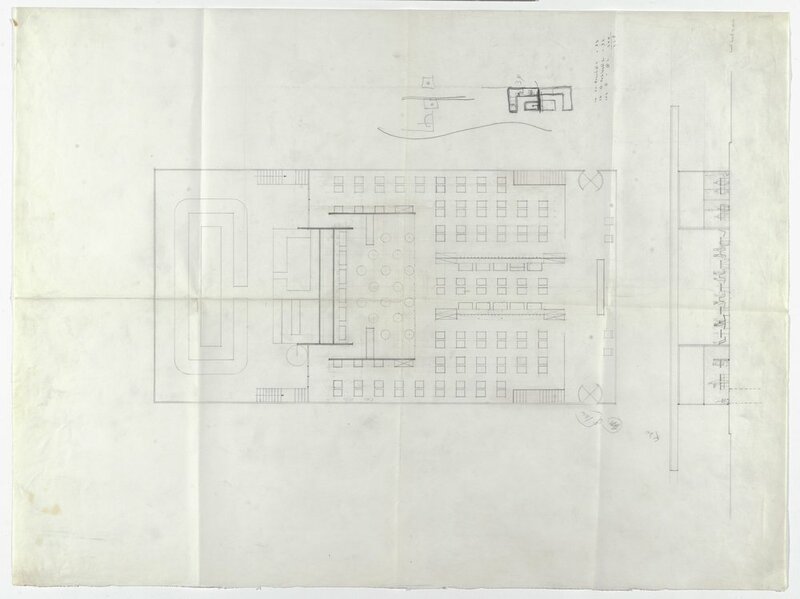 By this time Rudolph opened his Cambridge, Massachusetts office to develop drawings for the Jewett Arts Center in Wellesley and later the Blue Cross Blue Shield Building in Boston, but many Florida projects from this period were also coordinated from this satellite studio." Like dating a project - always a challenge in architectural history - the location where this project was done poses similar questions. As the authors point out above, when it comes to where this was designed, the story is a bit more complicated than the Florida-New Haven-New York triad. Even so, it is also hard to say that something was designed in one particular spot: architects are thinking/sketching/pondering design problems wherever they go. The documentary about Rudolph, “Spaces: The Architecture of Paul Rudolph” shows him sketching on the train. So even if the presentation materials for this donut stand were done in Cambridge, you can well guess that the place(s) where Rudolph was thinking about it was not geographically limited. The articulation of structure - as distinct from the planes of the roof/wall/enclosure/signage. The play of opaque and transparent - which is strongly expressed in the graphic (solid black) contrast of the dark underside of the roof-planes. The attention-getting nature of the design - even when done in a strictly High-Modern style, both buildings are well-planned to be noticeable from speedy passing traffic. The inclusion of shade - especially important in a semi-tropical environment like Florida. Bauhaus-ian composition - which is hardly to be wondered-at, as Walter Gropius—founding director of the Bauhaus - was Paul Rudolph’s teacher when in Rudolph was in graduate school at Harvard. High (end) or low; fast food or elegant settings; at intimate or gigantic scale - Rudolph, like any true design-master, could engage interestingly with any project.